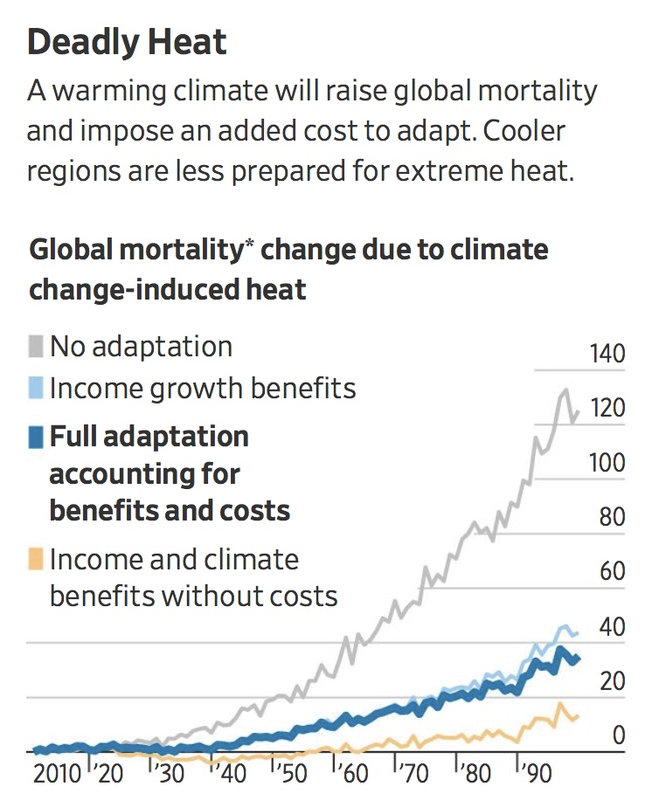 Greg Ip discussed our research into the global economic costs of excess mortality risk caused by climate change in his recent Wall Street Journal column. The research covered in the article is output from the Climate Impact Lab, a collaboration between the GPL at Berkeley, EPIC at U Chicago, The Rutgers Earth System Science & Policy Lab, and the Rhodium Group. NPR Marketplace's Jed Kim reported on the Social Cost of Carbon research program at the Climate Impact Lab.